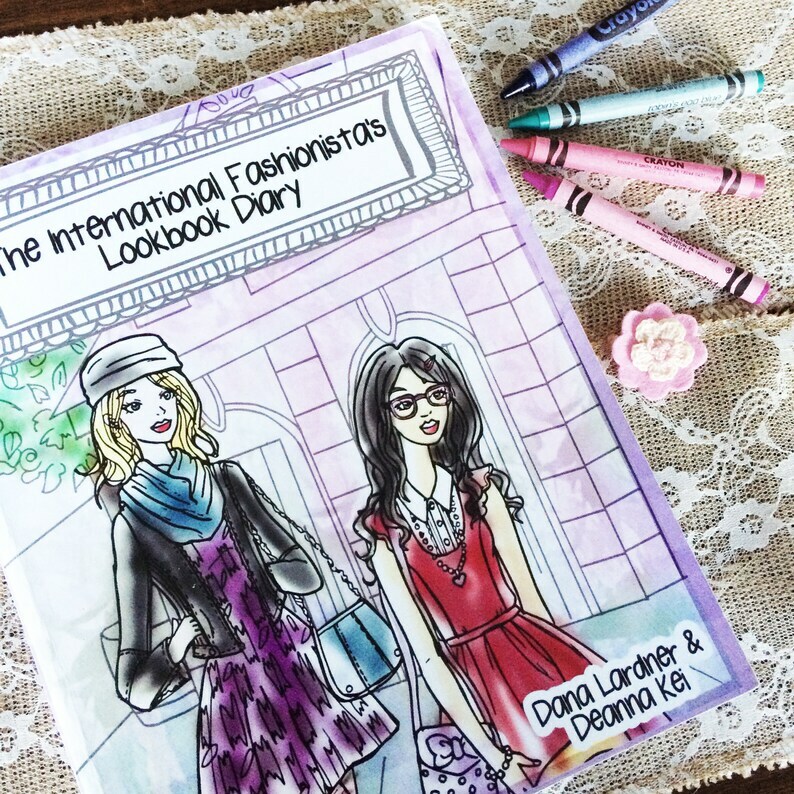 'The International Fashionista's Lookbook Diary by Dana Lardner and Deanna Kei ' is an exciting new fashion design journal, travel log and coloring book for the creative, travel-savy young fashionista. 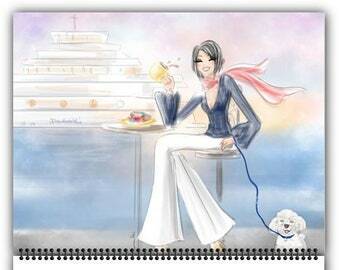 - design and writing prompts to inspire and aid your young designer in planning out their first collection. Just perfect. I love the fabric and the unique design. Now we need one half the size for keys. LOVED these! So fun to send to my girl friends for a little Valentine's Day surprise. Difficult to find full sized envelopes to send them in - had to fold them to put in smaller cards. Would recommend making them smaller when you print them. This woman is quite the artist, such talent! I love the detail in each design; I snuck a peek of the pictures for the coming months in the calendar 😍 The calendar boxes are a nice size to add all my daily “things to do” too.